Disclosure: As co-founder of Blog Brûlée, I was compensated by Davidson’s Safest Choice Eggs. All opinions are my own. I have always loved eggnog. The kind in a carton that you get in the dairy case that perhaps doesn’t have the cleanest ingredients. As for homemade nog, I was never a fan as my only exposure was the kind my Pop Pop would make every New Year’s Day for their open house party in Philly to watch the Mummers Parade. He’d whip up a big frothy punch bowl of it with a hefty dose of brandy and rum added in. He’d always taste a cupful and say “I think it needs a little more brandy.” I swear if you struck a match above that bowl, the whole thing would have lit up like bananas flambe. When I was finally of age to consume it, I thought it was horrid. And I never tried to make the homemade kind since – just kept buying the stuff in the dairy case year after year. But this year, I was inspired to finally give the homemade kind a try using Davidson’s Safest Choice Eggs – our longtime Blog Brûlée sponsor. 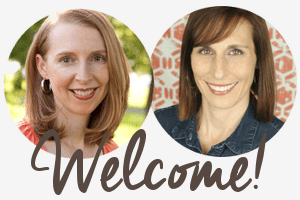 Safe Eggs are pasteurized in an all-natural warm water bath which eliminates the risk of Salmonella bacteria both inside the egg and on the outer shell – but without changing the nutrition or flavor. 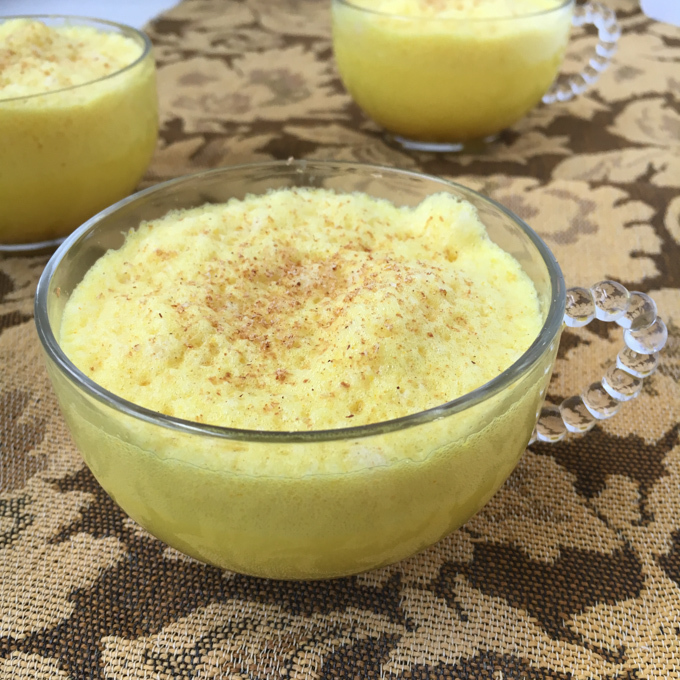 So, their pasteurized eggs make this eggnog recipe not only safe to consume but perfect for whipping up beautiful frothy egg whites. 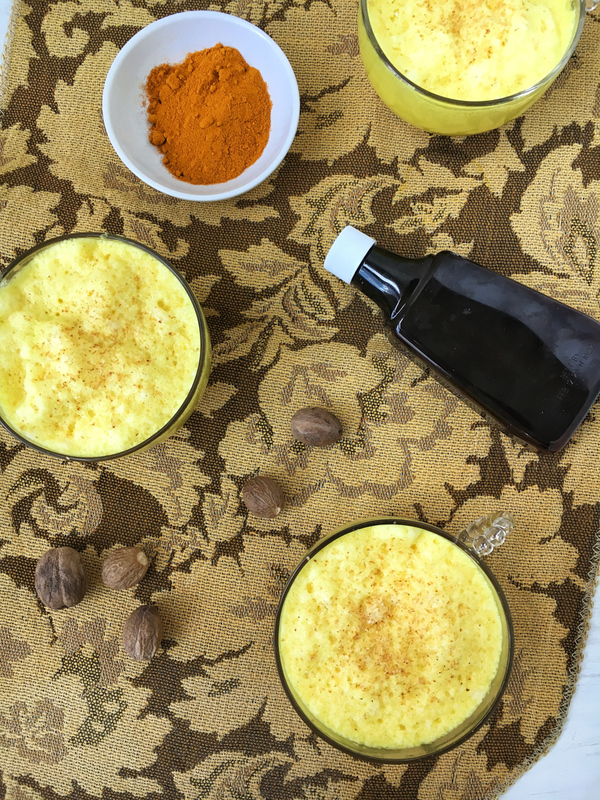 And to be ultra-trendy, I decided to give this recipe a golden milk twist by adding in turmeric – which gave my nog a gorgeous yellow-orange tint, some earthy flavor and a decent kick of antioxidants. 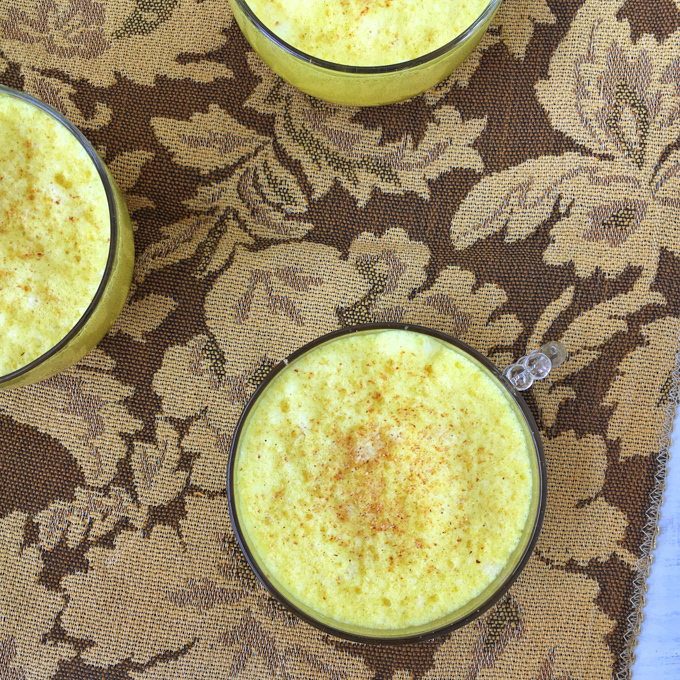 Turmeric adds color and antioxidants to the holidays with this homemade turmeric eggnog recipe using pasteurized Safe Eggs. In a small saucepan, whisk together milk, sugar, turmeric, nutmeg and salt. Bring to a simmer and heat for 10 minutes, stirring occasionally. While turmeric milk is heating, separate the yolks from the whites of the Safest Choice eggs into two separate bowls. Whisk yolks and set aside. Add egg whites to a mixing bowl and whip on high until soft peaks form. Place in refrigerator to chill. Remove milk from saucepan and let cool in refrigerator for 10 minutes. Whisk yolks into cooled milk and place back in refrigerator for 20 minutes or so. Before serving, fold egg whites into chilled eggnog. Pour into mugs and serve with ground nutmeg on top. I have to say, this came out even better than I expected! The turmeric and nutmeg were great flavor complements and I used the leftover eggnog to make a big batch of oatmeal. Are you on the eggnog bandwagon? Have you ever cooked with Safe Eggs? It’s really delicious recipe to use.